Our goal is to set the standard for quality funeral service in Scott County and surrounding areas. We care about the families in this community and we want to provide them with affordable service offering the care and attention their loved ones deserve. As an independent, family-owned funeral home in Scottsburg, families have always depended on us to be there when a loved one dies. Since 1903, the Stewart family have been committed to helping families in any way that we can before, during and after the funeral or memorial service. Allows children to play and/or watch children’s movies. Special children’s tapes concerning death. Library encompasses many aspects of death and grief. Materials provided to local schools and civic organizations. Materials may be checked out by individuals or groups. Every detail is considered in planning a fitting tribute to your loved one. Because each family has its own traditions, we are dedicated to planning funeral services, which reflect individual wishes, needs and preferences. We want families to select music with meaning to them; a religious or humanistic service depending on their faith; caskets, urns, or vaults that fit their desires and needs. These are just a few ways we can help families at the time when they rely on us the most. People are sometimes hesitant about discussing their financial situation when they are faced with decisions about what type of service to select. 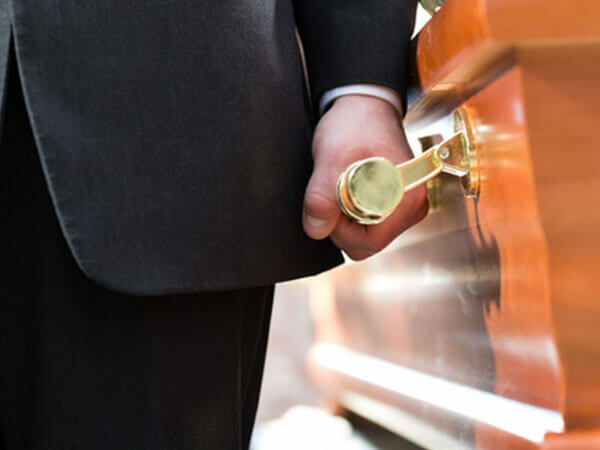 As a family-owned funeral home, we understand many families are on a budget. Our wide choice of services allows you to select those things are meaningful to your loved one and affordable to you and your family. More families than ever are making funeral arrangements in advance. This provides the opportunity for the family to make wise decisions at a time of less emotional distress. Pre-planning provides peace of mind and lets everyone know what your wishes would be. We offer a variety of pre-payment programs, which allow you to control cost, avoid emotional overspending and protect your family against inflation. We can meet with you in your home or at our funeral home to explain the various programs and answer any questions. We can provide you with Social Security and Veterans benefit information and a "Personal Arrangement Guide" booklet in which to record and organize all of your important personal records. That way the protection you planned for will be there when your family needs it the most. For individuals preferring cremation, many options are available. These include services from a Traditional funeral service with visitation, funeral ceremony and cremation, cremation with a memorial service or immediate cremation with no formal ceremony. Because there are many decisions to make, it's important to make your wishes known to your family or to make a pre-arrangement that lists your specific wishes. This will assure your wishes will be carried out just as you would have wanted. As a service to our community, we have many programs beyond what you would typically find from many funeral homes. We offer informative brochures, books and videos on various topics to help you cope with grief, explaining death to children and many subjects as they relate to your individual needs. We offer an After care program to all the families we serve also a list of local support groups.